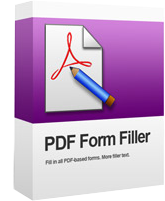 Why Blueberry PDF Form Filler? There are over 20 million PDF Files on the web, and over half constitute some kind of printable form – from insurance claims, mortgage applications, invoices, order forms, employment applications, and so on. As you will have realised, many PDF forms are not editable by Adobe Reader. The traditional way of filling in these non-fillable PDF forms is to print them off and then fill them in by hand. Painstaking and time-consuming, I’m sure you’ll agree, and the result is never as good as you’d like. 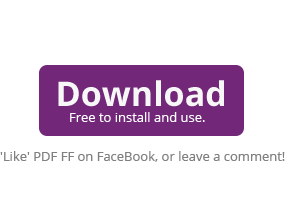 As custom software developers, we decided to do something about it, and created Blueberry PDF Form Filler – a freeware program for everyone to use. Sure, there are other products out there that that can fill in PDF forms – but they always come with a downside. Some only allow PDF forms to be filled in online, or required you to register first, or to get an account, or they ask for payment up front. By contrast, this is a small, easy-to-use desktop program that can be downloaded and used completely freely to fill in any PDF form you might be sent. Open PDF Form Filler, then open your PDF. Use the easy tools menu to type into your PDF, fill checkboxes, add photos, signatures, or even a web link. Press ‘Print’ to print your hardcopy. Press ‘Save’ and the form is saved as a new PDF. The PDF Form Filler is obviously Blueberry branded. Would you like the Blueberry PDF Form Filler re-branded to compliment your own company and products? Or perhaps some other bespoke software utility to help your customers better interact with your website, product or business? Our exceptionally deep knowledge of custom software means we can help you gain that all important edge over your competition. To discuss re-branding opportunities, or other custom utilities, please contact Martin Green. Blueberry Consultants is a private limited software development company, with over 10 years experience in custom software design. However, custom software doesn’t have to be expensive. Because of the rise of rapid application development frameworks, we can design and develop complex custom software for smaller companies or even individuals with limited budgets. Examples of small standalone custom software projects include the Blueberry PDF Form Filler utility and the Blueberry Connection Tester. For our larger custom software projects, please see our highlighted projects. Windows Applications – the design and development of custom Windows Applications. Web Applications – the creation of web sites requiring enterprise-quality databases and backend infrastructure. Database Applications – the design and implementation of database systems using Microsoft SQL Server, MySQL or Oracle. Cross-Platform Applications – custom software that run on Windows, Linux and Mac. If you have a requirement for custom software, Blueberry can help with free advice and a detailed quote.